When they met, Laura noticed Lucas' tattoos, and immediately had a crush. A few years later, they went to a family vacation spot in Cape Cod, and Lucas proposed with Laura's grandmother's ring. The pair stayed up all night planning the wedding! 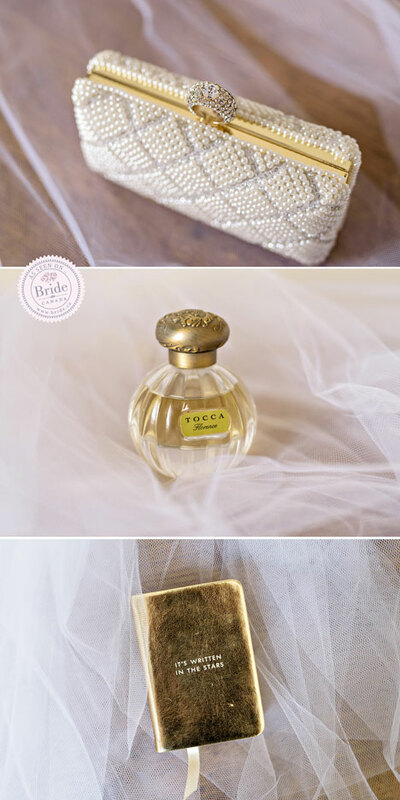 Bride-y details always make us happy and pearl clutches paired with pretty bottles of perfume and Kate Spade notebooks, are no exception. L-O-V-E.
Decades old trees, on the lawn at Horseshoe Resort, offer the perfect natural altar to pledge a lifetime of love beneath. Laura chose a classic white rose bouquet, designed by Bradford Greenhouses, and adorned it with an antique-inspired charm. 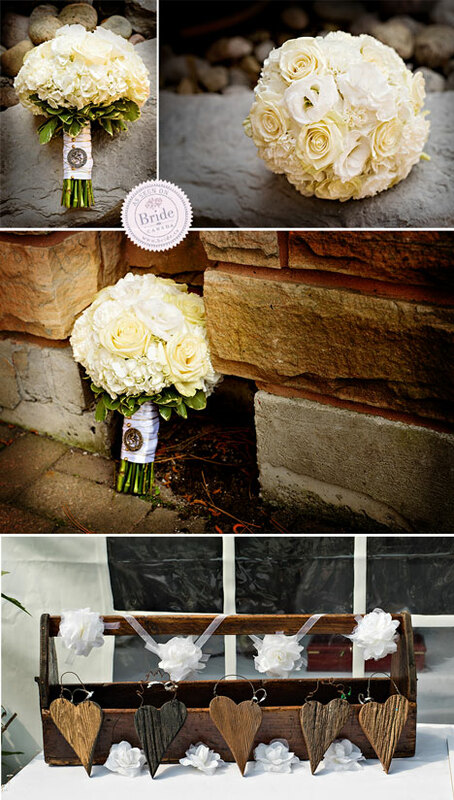 What rustic outdoor tent wedding is complete, without wooden accents? The couple's beautiful ring box, with its monogrammed linen cover, needs special mention for originality and charm. 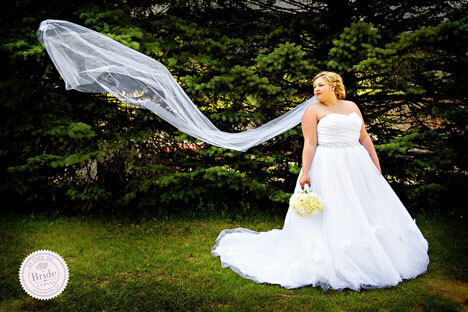 The airy outdoor reception was held within a beautifully draped tent. Tall centerpieces, by Bradford Greenhouses, injected the space with perfect pops of color. Remember the charming nuances of the pair's personalities that we mentioned? Case in point: the cupcake tower and groom's cake masterfully crafted by La-Di-Da Cakes! And how about the incredible attention to detail in that cake topper..?!? Can we just say, "wow!" These last few frames by Jennifer Newberry Photography are proof that Laura & Luc's day truly was picture-perfect.